The family of a grandfather, 74, who was killed when he was knocked off his bike by a drink-driver, say they were 'robbed' of the chance to say a peaceful goodbye to him. Albert Harding was killed when he was hit by Pavel Makecic, who was over the drink-drive limit and speeding, at a level crossing at Broadfield Road. Mr Harding's daughter Sarah said in a victim impact statement: "I have been robbed of a peaceful goodbye to my dad." 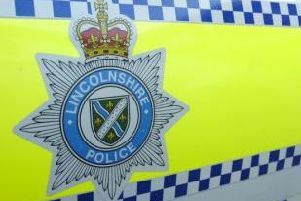 Makevic, who did not have a driving licence, was jailed for almost five years at Lincoln Crown Court yesterday (Thursday). The court was told he was one and a half times over the limit and speeding when he hit Mrt Harding ,74, who was cycling over the crossing. Makevic had been drinking lager before setting off in his BMW car to drop off a set of keys at a friend's house. Phil Howes, prosecuting, said that Mr Harding lived near to the scene of the collision and was cycling in the same direction as Makevic when he was hit from behind. Mr Howes said "The defendant was not paying attention to what was in front of him that evening. "He was driving too fast. He was over the speed limit. He was also one and a half times over the drink driving limit. "He drove into the rear of the cyclist not seeing the cyclist. "Mr Harding was thrown onto the bonnet and onto the windscreen. He ended up on the pavement." Makevic stopped at the scene and made a 999 call. He then attempted to recusitate Mr Harding before paramedics arrived and took over. Mr Harding was taken to hospital but died later the same evening from his injuries. Makevic failed a breath test having 53 mgs of alcohol per 100mls of breath compared to the legal limit of 35 mgs. A police reconstruction of the incident showed that Makevic was driving at a minimum speed of 37 mph in a 30 limit. Tests on his vehicle revealed it was in a dangerous condition but the condition did not contribute to the collision. Mr Howes added "He did not hold a Lithuanian driving licence or a UK licence at the time." Pavel Makevic, 31, of Park Road, Boston, admitted a charge of causing death by careless driving while over the alcohol limit as a result of the collision on 15 November 2017. He was jailed for four years and nine months and banned from driving for five years and five months. Judge Steven Coupland, passing sentence, told him "The consequences have been devastating. "This took place because you were not paying sufficient attention to the road and to other road users. "Driving with that much alcohol in your body and at that speed created a substantial risk to others. "The only appropriate sentence is a custodial sentence of some length to reflect your culpability and the consequences of what you did." James Gray, in mitigation, said that Makevic was a hard-working man who supported his partner and their young child. "He did not set out that evening with any malicious intent to kill or injure anybody. He got into the car and set off on a short journey. He shouldn't have done it. "He wishes to convey his deepest sympathy to the family of Mr Harding." Mr Gray suggested the main cause of the collision was the speed at which Makevic was driving. "If he had been driving at 30 mph the impact speed would have been survivable." Mr Harding's daughters Sarah told the court in a victim impact statement that the family have been left devastated. She said "My dad was not your average 74 year old. He was independent, lively and very opinionated.